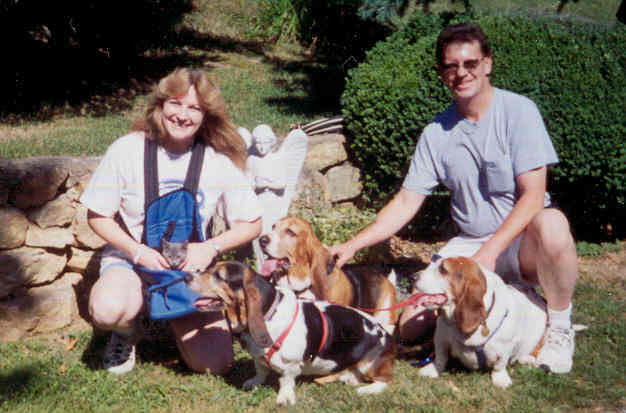 Rick & Ginny, Hens, Hounds and Critters of VA. Welcome to the 2018 Howliday Card Exchange! Feb 8, 1999 - Jun 13, 2004. We love you Taz. Winstanley Weather Web Cams D. Alcott W.
The Winstanley Clan recommends a fabulous service that gives you a FREE web site - FREE web tools - FREE web hosting - FREE e-mail when you register a Web Address (i.e. domain name) of your choice. The Winstanley Clan Web Site is from DomainNameSanity. They will show you how building a web site - it is fun and easy. Get your own Web Address now with a low price and satisfaction guarantee at DomainNameSanity.com. We know you will find the service to be excellent. Winstanley News: Leon is now employed by RC Fine Foods, as a Maintenance Mechanic. Leon quit smoking on Feb 20, 2012! Welcome to our Website ! !